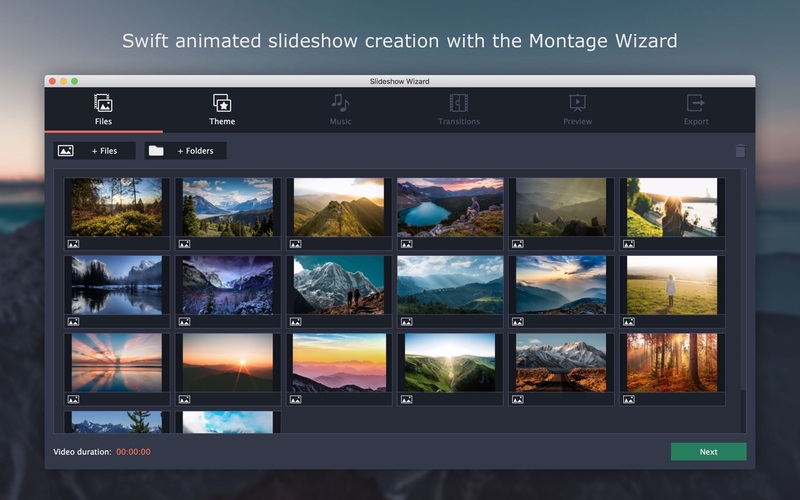 Movavi Slideshow Maker allows you to make a slideshow out of the photos that are on your mac. If you need to create a cool slideshow with a couple of clicks, the “easy mode” is just right for you. Upload your images, automatically join them with transitions of your choice, add music and sync the slideshow with it. If you want to work on your slideshow in a more detailed way, choose “full feature mode”. In this mode, you can edit the slideshow on a timeline, upload videos, add text and special effects, overlay your own voiceover and do lots of other things.